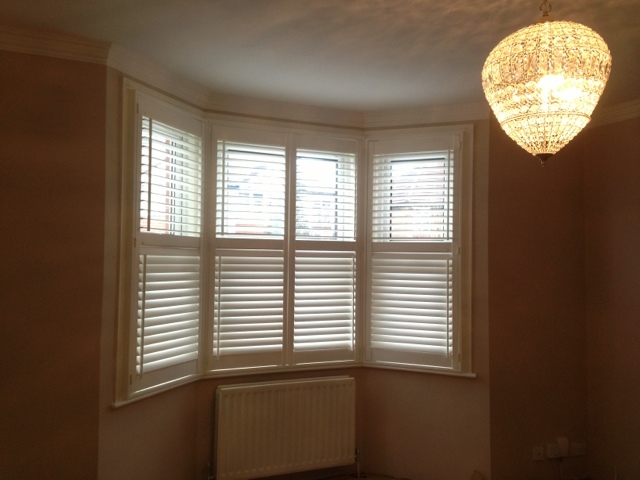 Before and after shots of another shutter installation. 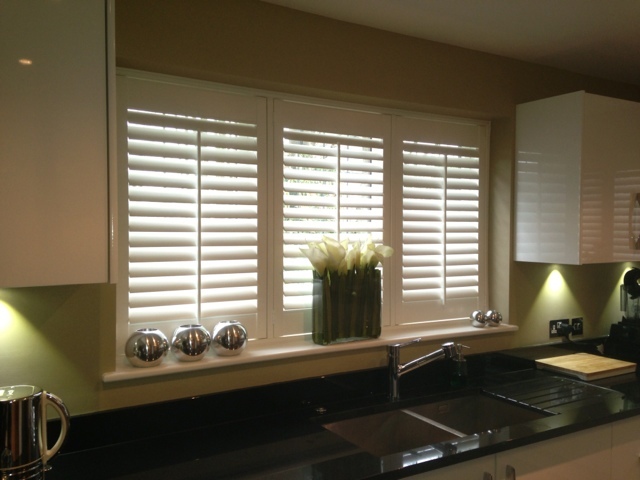 Silk White, 63mm slats with offset tilt rods and a midrail. Installation in a study. 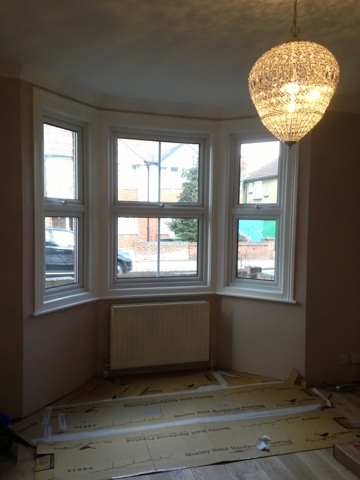 Black roller blinds, black gloss pelmet box with mirror front. The roller blinds are running on Somfy motors through the house automation system . Labels: Bay window. 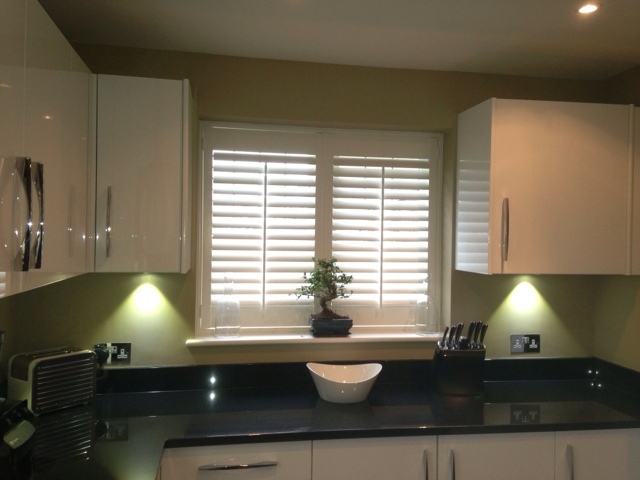 Wooden shutters. The pic is so good it almost looks like a magazine shot ! existing blinds needed an overhaul and that some of the finance department suffered from glare. 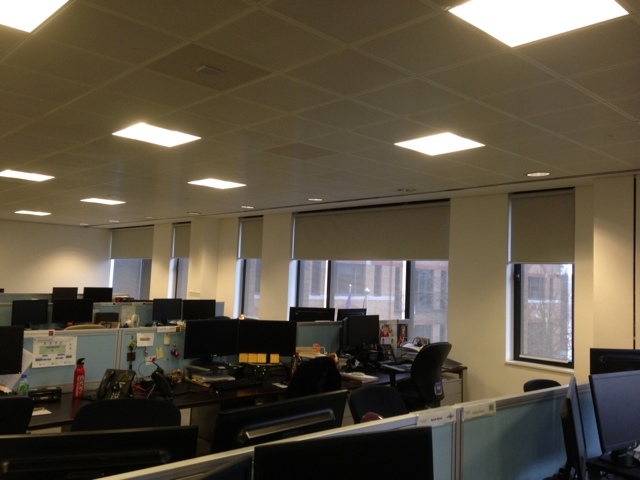 We attended the offices out of hours to minimise disruption and installed 11 secondary blackout blinds for use when the low sun was too strong for the existing blinds. 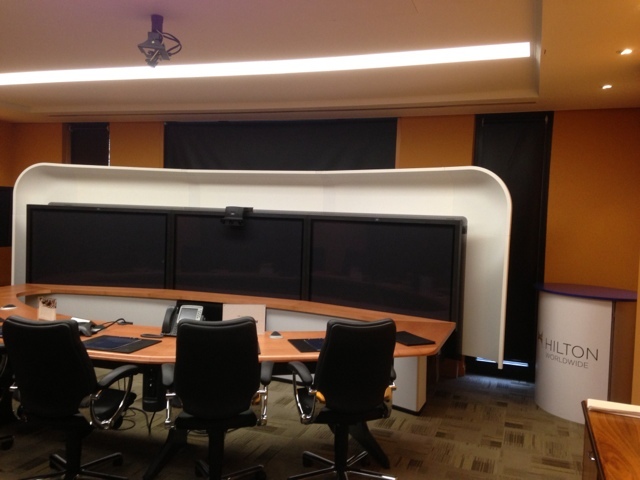 We then overhauled the blinds in the conference rooms. 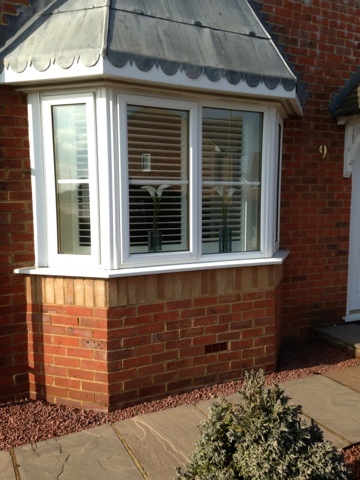 whilst we pride ourselves on our wooden shutter installations and our motorised blind installations we also provide our commercial and domestic customers with a wide range of options. 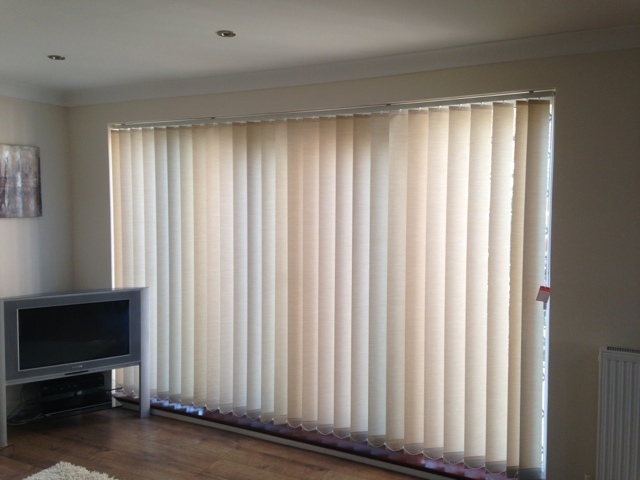 Here is a standard installation of vertical blinds across a patio door , location Hatch End. Note the label on the right hand side of the blind, it is a childsafe information tag. Images from earlier this week. Building contractor Delves Broughton. 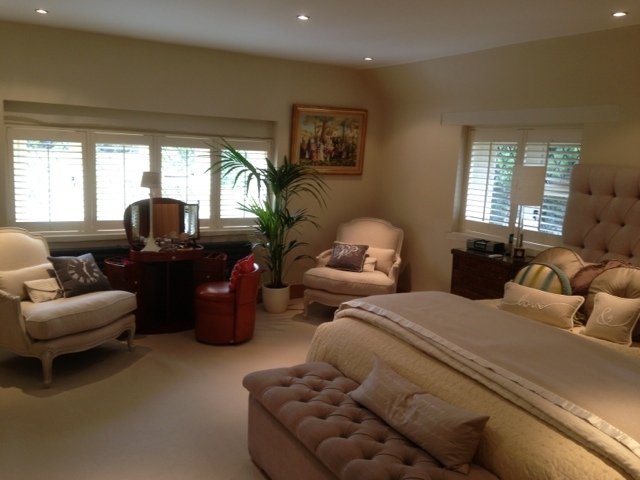 Property in Bricket Wood Herts. 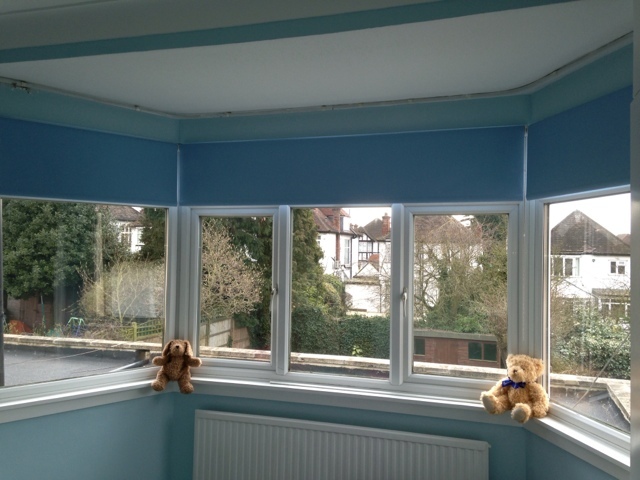 4 installations completed, all of these were roller blinds and all fitted with child safe attachments. As members of the UK's regulatory body for blinds companies, the BBSA, we always make sure that our installations comply with safety regulations. 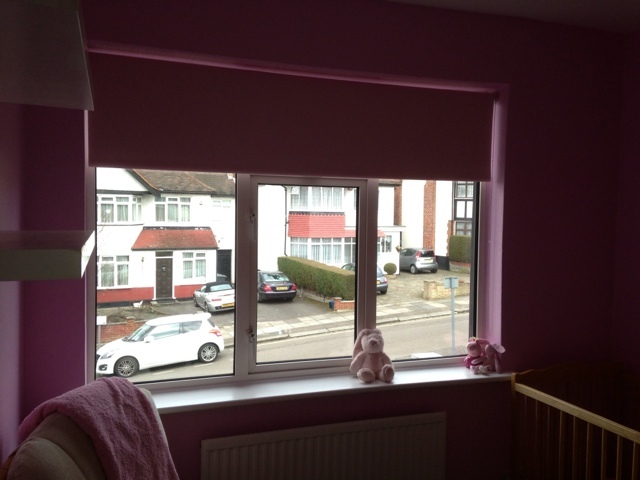 One boys room blue blackout blinds in bay window and one girls room, another pink roller blind !